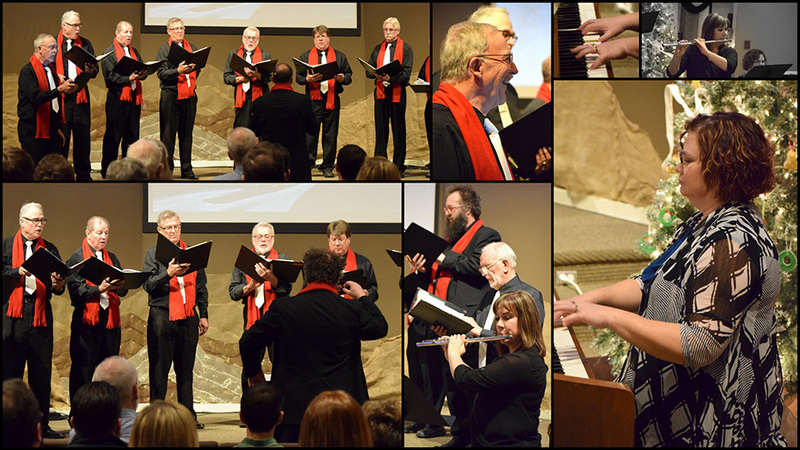 The Foothills Men’s Chorus is an exciting, growing group of guys who love to have fun and sing - presenting a diverse repertoire including sacred, classic, folk and popular music. An interest in singing is all that is required; no knowledge of music or singing is needed. Come sing with the FMC! Stay tuned for opportunities to hear the Foothills Men’s Chorus perform in venus throughout the Foothills this fall. Our first rehearsal for the Fall 2018 season will be on Tuesday, September 4th from 6pm-7:45pm PM at the Okotoks Alliance Church. We have lots of media available online through our social media pages. See some of our pictures on Facebook or videos on YouTube. If you have questions about the Foothills Men's Chorus, please contact our President, Henry Kerkhoeven. To book the Foothills Men's Chorus, please contact Richard Ellum. If you would like to get updates from us, please sign up for our mailing list. The Foothills Men’s Chorus was founded in 2005 as a small group of men who just loved to sing! We were brought together through the inspiration and efforts of Phillip Pack (director 2005-2007) and are currently directed by Tim Korthuis (2007-present). We have grown in number and skill, performing before a variety of audiences both locally and provincially. We present a very diverse repertoire, that includes sacred, classic, folk and popular music, as well as performing in several languages (Italian, Latin, French, German, Korean, Croatian). The Chorus is fortunate to have an enthusiastic and dedicated director in Tim Korthuis, as well as a very talented accompanist in Heather Haaland. The FMC regularly supports local performers by collaborating in the Men's Chorus Annual Spring Concerts, including local elementary, junior and senior high schools, as well as the Alberta Dance Academy, and has a full performance schedule each season with local groups and venues. Men of all ages are invited to join the group each season!